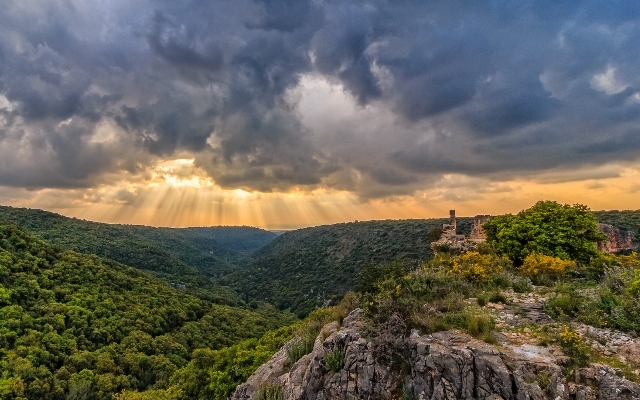 The Western Galilee connects to the northern Coastal Plain. The main road leading to it is the Coastal Road in its northern section from Haifa to Akko and Rosh Hanikra (Highway 4). Numerous roads branch off westward from the main highway – of these the main one is from the Movil junction to Kabri junction (70), the Akko-Safed road (85), the Meron road (89), and the enchanting Old Northern Road (899), which winds its way from the Betzet junction and the town of Shlomi at the western end toward Sasa and the Koakh junction. The Western Galilee is a breathtaking combination of sea and mountain, green and blue, history and archaeology, and a fascinating multicultural human tapestry consisting of Jews, Muslims, Christians, Druze, Bedouins, and Baha’is – all living peacefully side by side. 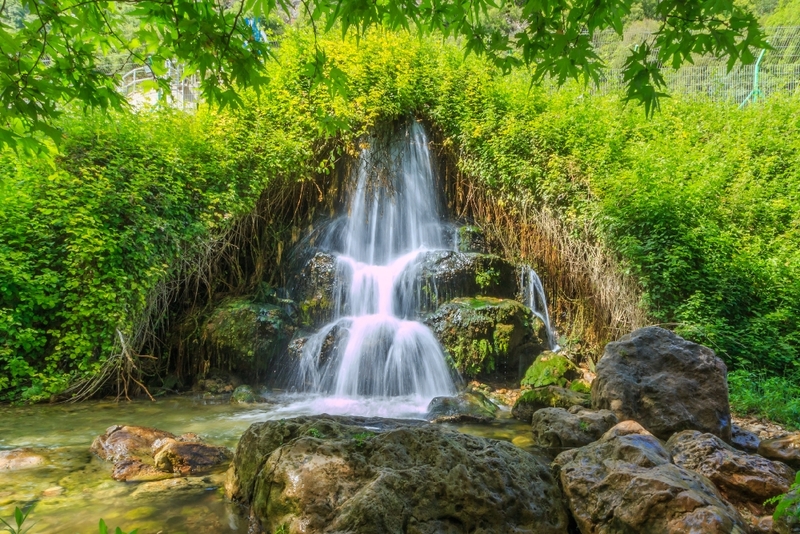 The Western Galilee has been blessed with a thousand flavors and countless treasures – mountaintops, streams, coves, lagoons and romantic beaches. Above all the main attraction is the welcoming people living high in the mountains or a stone’s throw from the beach or the forested mountains. This region is in fact the western edge of the Upper Galilee – a plateau sloping westwards to the sea, carved by large streams, deep ravines, and mountain outcrops. To the east the region is bounded by the Meron massif; to the south is the Beit Hakerem Valley. To the north is the Lebanese border and to the west is the Mediterranean sea. 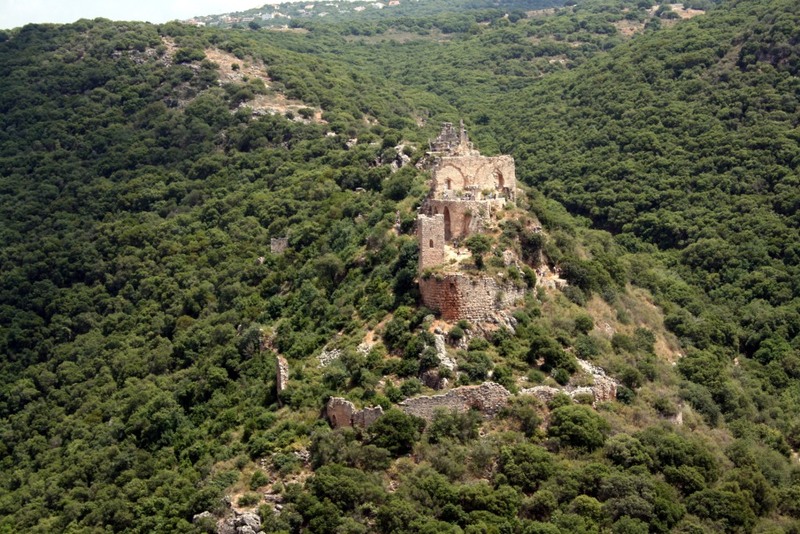 The Western Galilee features dense Mediterranean thicket, oaks, strawberry trees and Pistacia trees. The woods are green all year round, providing habitat for various wild animals typical of the Galilee. There’s no greater pleasure than a picnic in the shade of the Pistacia and oak trees in Goren Park, no vista more gorgeous than sunset over the Mediterranean from the Keshet Cave, or a stroll through the Achziv National Park. Sleep under the stars or in a wooden bungalo on the water’s edge, leave tracks along the magical Achziv shores, the stuff of many a love song, or dip in the blue lagoons. Tour the grottos at Rosh Hanikra or walk the bustling alleys of Akko – an historic and architectural gem on UNESCO’s World Heritage list. The Western Galilee offers plenty of recreational possibilities: rappelling from the roof of Keshet Cave, hiking along streams and up the mountains, take to the sea in a tornado boat, jeep and ATV tours, bathing beaches or wild beaches, parks and National Parks, a unique ecological community – Klil, the Montfort Lake, ancient fortresses, an age-old port, archaeological sites and historic sites, battlefields, flourishing agriculture, picturesque Arab villages, complete with winding alleys, churchbells and rustic yards, bustling markets and local restaurants – and even one ancient village named Peki’in, where Druze, Arabs and Christians live side by side plus a Jewish family that never ever left the village. The capital of the Western Galilee is Akko, a fascinating city of Jews and Arabs. One of the oldest of the world’s cities with a captivating present, a tour of Akko is a trip through time, where history comes alive and meets the present. A timeless fishing harbor, charming, romantic, winding alleys trodden by Crusaders and Ottomans, historic and archaeological sites, a bathing beach, a handsome new promenade blending into ancient city walls and a lighthouse plaza with a bustling oriental bazaar. 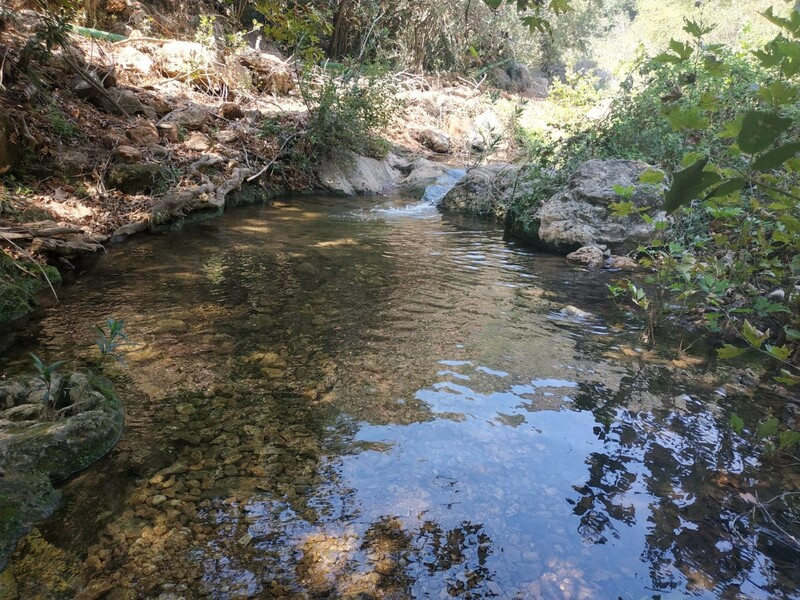 Betzet Stream Nature Reserve – along the Northern Road (899) from Shlomi to Sasa, this trail features dense vegetation, flowing water, pools for a quick dip, giant plane trees, and ruins of an ancient flour mill and water cave. Betzet Stream and Sarach Cave – along the Northern Road (899), turn north at Gornot HaGalil following the blue trail marking as far as the parking lot. Walk down hill along the blue trail as far as the Sarach stalactite cave. Follow the trail as far as the pump station. The hike ends back on the Northern Road at the entrance to Kibbutz Eilon. From the Northern Road (899), turn south toward Goren Park where you will find short hiking trails and an observation point with a sweeping view of the Montfort Fortress. A ring road circles through the park, leading to picnic and rough camping areas. Follow the Northern Road (899) toward Adamit Park. A short walk from the parking lot will lead you to the cave. Keshet Cave is a geological feature on the northern ridge above Betzet Stream. Geological processes caused the cave ceiling to collapse, leaving an impressive sprawling arch. 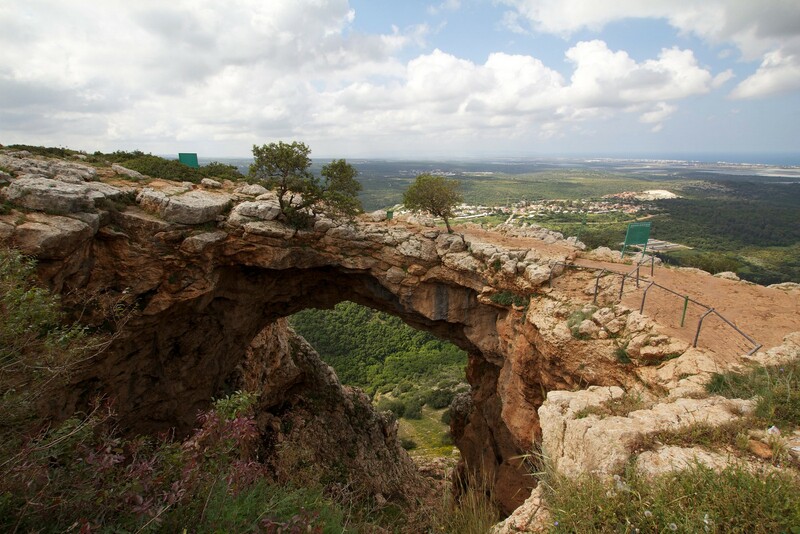 The view from Keshet Cave is breathtaking, taking in the sea and the Western Galilee hills. A circular hiking trail along the largest of the Western Galilee’s streams. It begins from the village community of Hilla, climbs up to the Montfort and descends to the Kaziv Stream and Ein Tamir Spring. With water flowing all year round, the hike is shaded by plane trees and various other plants rewarding you with magnificent seasonal flowers. There are several spots along the trail where you can take a dip in the water, refresh yourself and relax. Windmills, wading rock pools and the Ein Tamir Spring. One of the most spectacular places in Israel and its northernmost coastline. 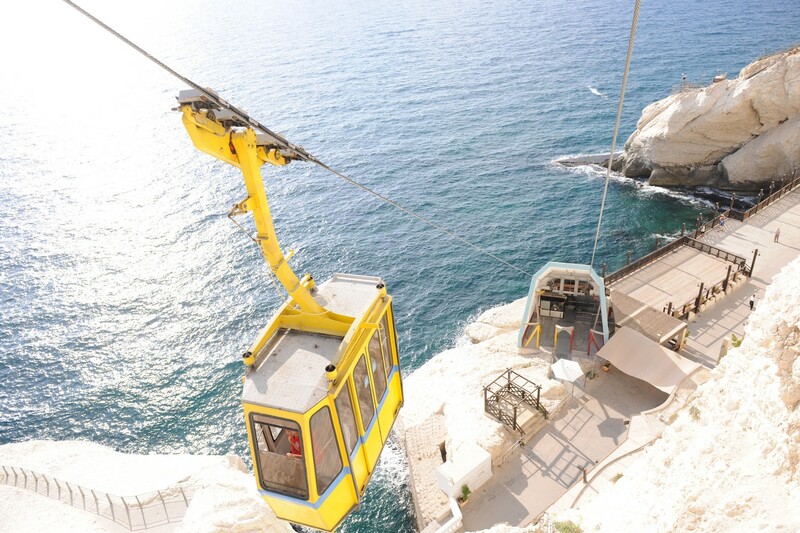 A popular tourist attraction, there is a cable car going down to the grottos. A walk along the trail among the grottos, carved in the limestone cliffs by the sea and a glimpse of the boundary between the territorial waters of Israel and Lebanon. Between the Hosen junction and Hurfeish, follow the signs north to the Christian village of Fassuta. Visit the bucolic village of Fassuta. Just before the entrance to Fassuta is a pretty little reservoir named Mifshata. From the reservoir follow the signs to Abirim Fort, a small crusader fort on the northern banks of Kaziv Stream. From Abirim Fort, coast on down with the signs to Kaziv Stream. At the entrance to Kibbutz Yehi’am are the ruins of a crusader fortress from the 11th-12th century. 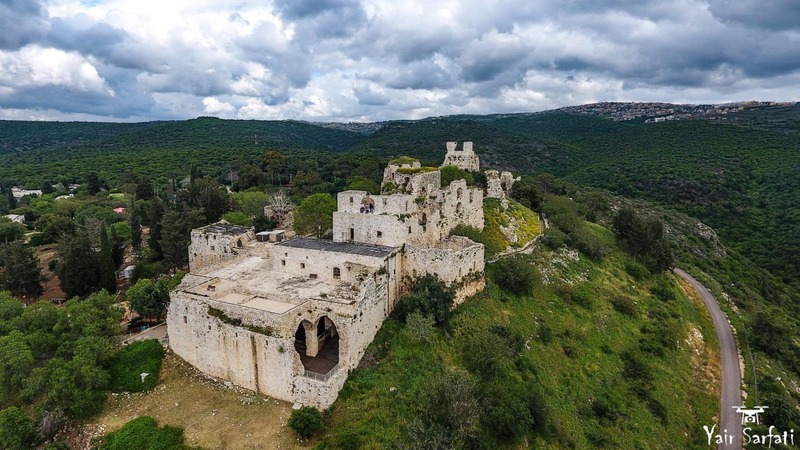 A breathtaking view of the Western Galilee awaits you from the fortress battlements. Tours are available all yar round. Another attraction at the fortress is an escape fortress.